Is this not the cutest, nerdiest thing you've ever seen in kids' toys? 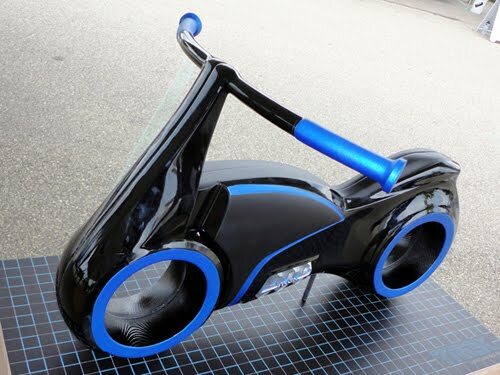 This, my friends, is a Tron Lightbike Training bike. For kids. And you are too big to ride it. If you don't have kids, a training bike is a bike that functions like a scooter: kids sit on it and pedal with their feet (notice the lack of pedals on the bike). It's a great way to get them to learn their balance and get them ready for riding a real bike.